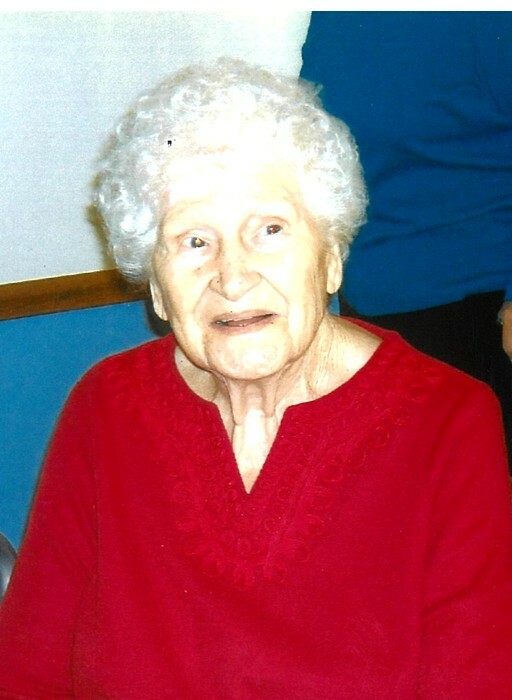 Esther M. Mingus, 98, of Bellevue passed away Sunday, January 13, 2019 at The Bellevue Care Center. She was born March 19, 1921 in Greenup, Kentucky the daughter of Alfred and Rosie (Henson) Kegley. Esther loved making ceramic dolls and especially painting; She married Amos Mingus in Greenup, KY in 1937; He preceded her in death in 1984. She is survived by her son, Roy D. Mingus of Bellevue; 9 grandchildren and numerous great grandchildren and great-great grandchildren. Esther is preceded in death by her Parents; Husband, Amos Mingus; a son, Richard E. Mingus; sisters: Mary Lowe, Irene Fuhr; and a son in infancy. Friends will be received on Thursday, January 17, 2019 from 3 pm until a funeral service officiated by Pastor Dan Duffy begins at 7 p.m. at Foos & Foos Funeral Service, 151 Yorkshire Place, Bellevue. Burial will be in Lucasville Cemetery, Lucasville, OH. Memorials can be made to Heartland Hospice, 907 W State Street Suite A, Fremont, Ohio 43420.